New Hanover Regional Medical Center recently bought a long-vacant, 292,000-square-foot industrial building and about 35 acres, near North 23rd Street in Wilmington, from International Paper Co. (NYSE: IP). NHRMC’s acquisition involved nearly 16 acres and the building at 2221 J.R. Kennedy Drive, 19 acres at 2201 J.R. Kennedy Drive and less than an acre at 718 N. 23rd St. in a $5.25 million deal with International Paper (IP) on Aug. 9, according to the deed recorded in New Hanover County. “NHRMC has plans to rehabilitate space within the building to be used as warehouse and office space for NHRMC’s Distribution Center and Emergency Medical Services,” said Julian March, NHRMC spokesman, in an email Wednesday. The NHRMC Distribution Center is used to distribute NHRMC’s supplies and equipment. The Federal Paper Board Co. owned and operated the former folding carton facility at 2221 J.R. Kennedy Drive in Wilmington from 1974 until IP acquired FPB in 1996, according to state documents. IP produces renewable fiber-based packaging, pulp and paper products with manufacturing operations around the world, including a mill in the Columbus County community of Riegelwood. The J.R. Kennedy Drive property in Wilmington has been vacant since December 2009, and the last tenant was MeadWestvaco Packaging Systems LLC. “In August 2002, control of facility operations [in Wilmington] was transferred to Oracle Packaging of North Carolina, with International Paper retaining ownership of the facility building and property. In June of 2008, control of facility operations was transferred to MeadWestvaco Packaging Systems LLC, with International Paper retaining ownership of the facility building and property. In December 2009, MeadWestvaco vacated the facility and removed the printing equipment as well,” states a history of the site. That history is included in a public notice of IP’s intent to complete a risk-based remediation of the site because of a low level of contamination on the property, according to state documents and Mary Siedlecki of the N.C. Division of Waste Management Hazardous Waste Section. Siedlecki, the state’s project manager for IP sites in Charlotte and Wilmington, said IP has the corporate desire and resources to aggressively take care of its sites. She said it appears the only groundwater contaminant of concern left on the site is a very low level of vinyl chloride. Wilmington-based commercial real estate brokers were involved in the transaction between NHRMC and IP. 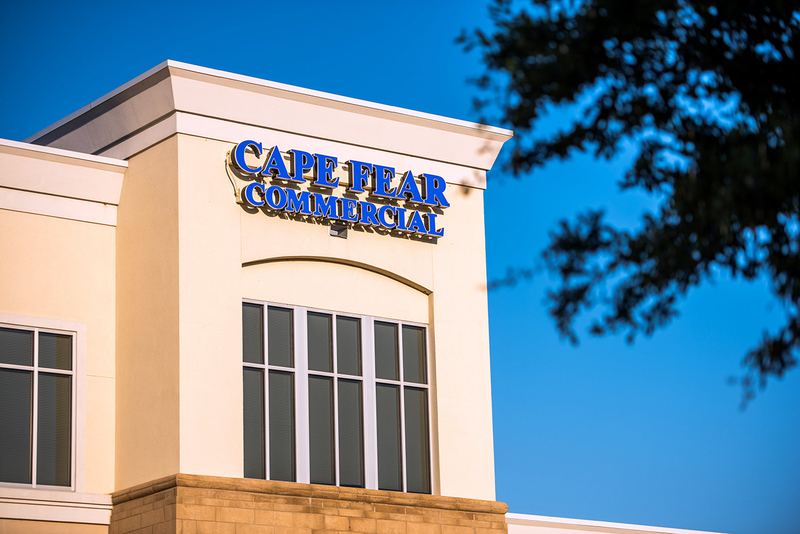 Bill Maus and Jason Windham of Maus, Warwick, Matthews & Co. represented NHRMC, while Spruill Thompson of Cape Fear Commercial represented the seller.